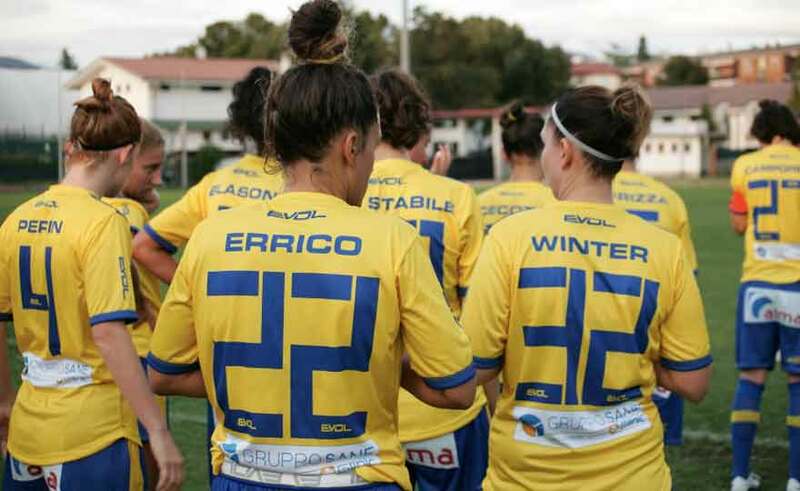 The motivation certainly made the difference in the clash of the penultimate day of the women's Serie A, played on Sunday at the 12.30. On the field of Vinovo, a Tavagnacco with nothing left to ask, was overwhelmed for 5 at 0 by a Juventus in full fight for the conquest of the Scudetto. A sign, for the bianconere, that with this victory come back to 90 minutes from the end of the Championship, went Galli, Aluko and Girelli (double for both). Juve starts strong and 11 'comes the first goal with Galli who pounces on a deflected shot from Aluko and bags. At 21 'there is also the doubling of Aluko, who mocks the Gialloblu defense and beats James Buhihas with a precise diagonal. The Tavagnacco tries to react and moves forward with Polli, who commits Giuliani with his head. At the 35 'third goal of the landlords, again with the English striker Aluko, able to stand out in the area and beat without fail. On the final of Caruso and Pedersen fraction they touch the 4 at 0. In the second half Tavagnacco is unable to find the way of the net and when, at 63 ', James Buhogas touches the ball out of his area and is expelled, everything becomes more difficult. The 4 goal at 0 comes from the punishment of the consequent punishment, with Girelli. In the recovery still Girelli fixes the result on the 5 to 0.